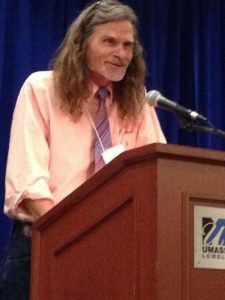 John Kaag (University of Massachusetts, Lowell): Cabin Philosophy,” at 3:30 PM. Doug Anderson is Professor and Chair of Philosophy and Religion, and head of the Environmental Philosophy program at the University of North Texas. With a grant from the FPC, the program has been expanded and will continue in future years to include a mini-conference dedicated to the work of the selected lecturer. All events are free and open to the public, although donations to the FPC in support of the lecture series are welcome. Titles of papers and further information on the speakers will be forthcoming.